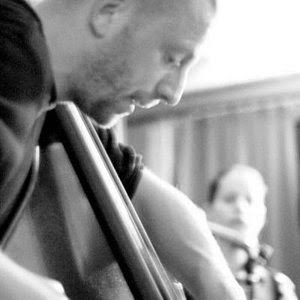 A workshop series/large ensemble project has been set up in Bradford by bassist and composer Seth Bennett focused on experimental, improvised and collectively devised music. Bradford Scratch Orchestra will meet each Thursday, working toward a debut performance with Martin Archer's Juxtavoices as part of the 2014 RECON festival. BSO is inspired by the horizontal structures and revolutionary impulse of Cornelius Cardew’s experimental ensemble from the late 60s and 70s. Seth Bennett will facilitate a series of workshops over Summer in which we hope to develop strategies for exploratory, inclusive and collective music making; using improvising techniques, listening exercises and non-conventional scores. Participation is completely free. No formal formal training or musical experience required. All you need to bring along is an instrument or device to make a noise (acoustic or non elecitrified/amplified preferred) or just yourself! The only requirement is an open mind and ability to listen. Workshops will take place at the Tasmin Little Music Centre in Bradford each Thursday evening at 7pm. The performance will take place on 20th September at Delius Arts Centre in Bradford. For more information, see the Bradford Uni Music Society facebook page and the RECON festival website.